What transnational connections existed among government reformers and hard-liners within these two countries before and during 1968? How did these actors’ goals compare as they headed into this momentous year? What connections existed among youth cultures, journalists, members of the Catholic Church, and the intelligentsia in Poland and Czechoslovakia before, during, and after 1968? How did their respective goals compare as well? How might events in these two countries, and specifically decisions made by hard-liners and reformers in 1968, as well as protesters and other members of society, have laid the foundation for differing forms of Communist rule and dissidence in the years that followed? To what extent did their engagements with 1968 establish shared cultural touchstones and performance traditions for the decades that followed? How did the Slánský trials, the death of Stalin, and the Six-Day War impact the Communist government’s varying relationship with its Jewish populations in each country? 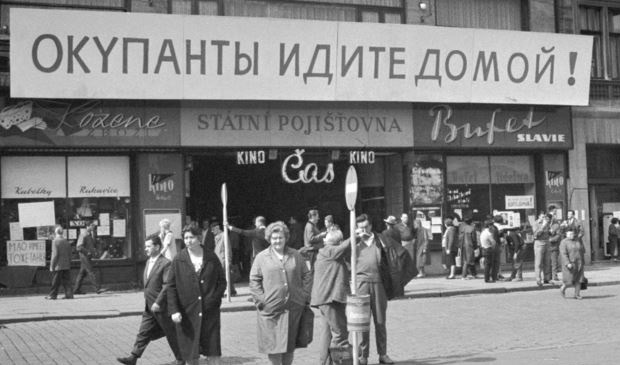 What might we learn from a comparison of anti-Semitic policies and campaigns that emerged in Poland and Czechoslovakia in the late 1960s and continued well after 1968? What might we learn from a comparison of emigration practices and patterns in the two countries in the wake of the repressions of 1968? What role did émigré communities play in the events leading up to 1968 in Poland and Czechoslovakia, and how did the out-migration that began in 1968 impact existing émigré communities in the United States and elsewhere? How did the experiences of Jewish émigrés from each of these countries compare with the experiences of others who emigrated in 1968 and shortly thereafter? Proposals for 8,000-word, pre-circulated papers are invited, with comparative and/or interdisciplinary approaches being especially welcome. Please send a three-page c.v. and an abstract of not more than 300 words to 1968inPolandandCzechoslovakia@gmail.com by March 1, 2018. The conference program will consist of three-person panel presentations, followed by discussions led by a commentator. The program also will include public conversations with notable actors and eyewitnesses from 1968, including Adam Michnik and Alena Heitlinger. Confirmed participants also include Kateřina Čapková, Rebekah Klein-Pejšová, James Krapfl, and Kieran Williams. The conference will be held at The University of North Carolina, Chapel Hill on Friday, August 31, and Saturday, September 1, 2018. The organizers aim to publish the proceedings of the conference as an edited volume.